Recombinant Zika virus-like particles consisting of Envelope, pre-Membrane and Membrane protein produced in mammalian HEK293 human cells. Greater than 90% purity. 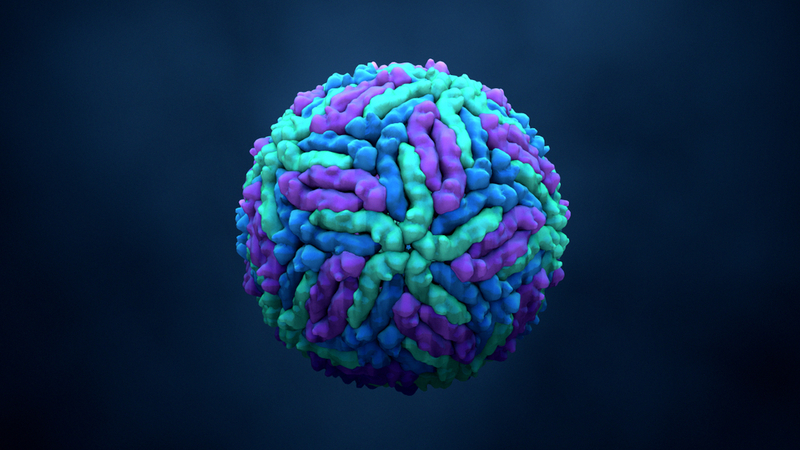 Zika Virus VLP (Virus-Like Particle) is a unique product that has been developed in response to the need for high purity, properly assembled and glycosylated Zika virus antigens for use in the development of Zika virus diagnostics and in vaccine development and R&D (including use as an immunogen). 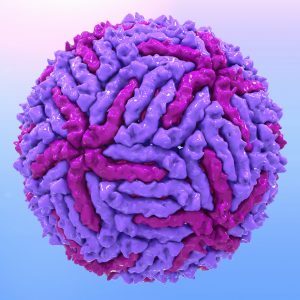 Like its related product, Zika Virus NS1, the Zika Virus VLP is produced in human cell lines using state-of-the-art expression techniques. The Native Antigen Company’s Zika VLP is composed of partially mature particles containing Envelope (E), pre-Membrane (prM) and Membrane (M). In contrast to our Dengue serotype 1-4 VLPs, Zika Virus VLP has been constructed purely from Zika virus sequences. Concentration and purification is then performed by a series of ultracentrifuge and chromatographical methods which result in VLPs of exceptional quality and purity. Virus-Like Particles (VLPs) are an emerging vaccine technology. VLPs consist of protein shells comprising outer proteins specific to the virus in question. VLPs are more representative of how viral antigens are presented in vivo and while they are highly immunogenic they are non-infectious as they lack the core genetic material of the virus. Another important advantage of VLPs is that they more effectively activate key aspects of the immune response to achieve potent immune stimulation and to provide immunological memory. VLP-based vaccines have also shown to provide effective protection and are in current use for several diseases and in development for many others.